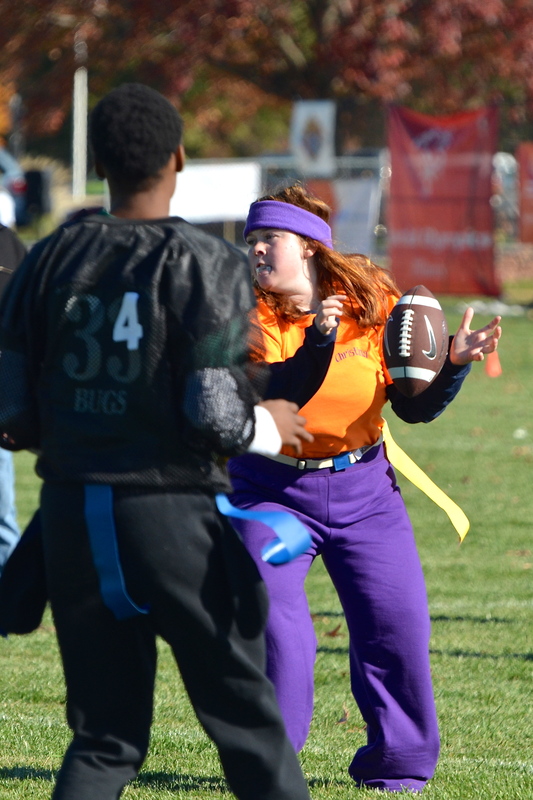 With the national, collegiate and high school football seasons well underway, Special Olympics Illinois is embarking on a journey of its own – flag football. 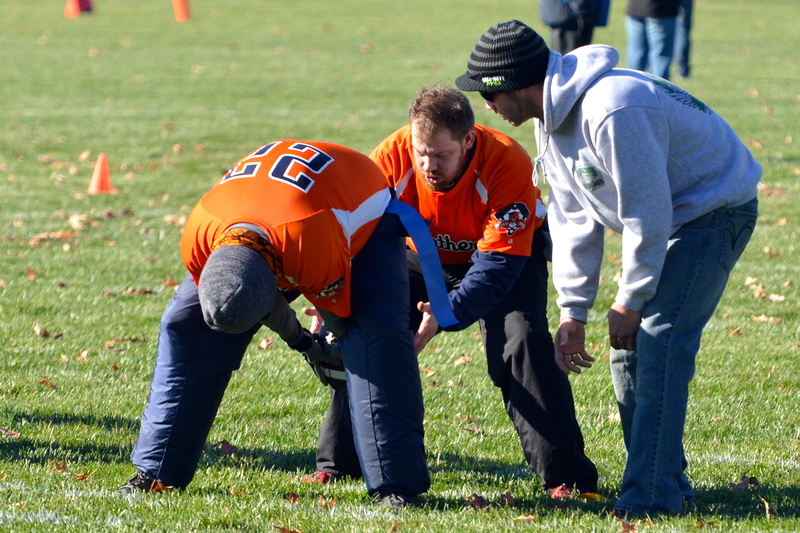 On Saturday, Nov. 1, Special Olympics flag football teams from across Southern Illinois converged on Trenton Community Park in Trenton, for the inaugural Special Olympics Illinois Flag Football Development Training Tournament, presented by Prudential Financial. The event featured more than 100 athletes on 10 teams. View a video and photos from the flag football event. 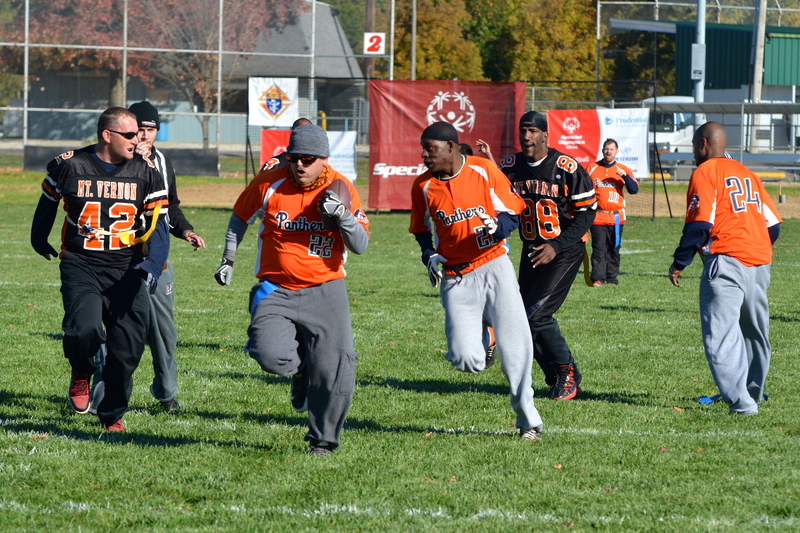 The 5-a-side co-ed format showcased five Special Olympics flag football teams from Southern/Area 15, three from Southeastern/Area 14, and two from host Southwestern/Area 12. The event’s main focus was a training session for coaches, athletes and officials and instructional scrimmages. The afternoon featured competitive games. All teams and sponsors (Prudential Financial, Community Bank of Trenton, Shop ‘n Save, Peterson Health Clinic and the City of Trenton) were recognized at an Opening Ceremony and Trenton Mayor Kyle Jones opened the games for competition. 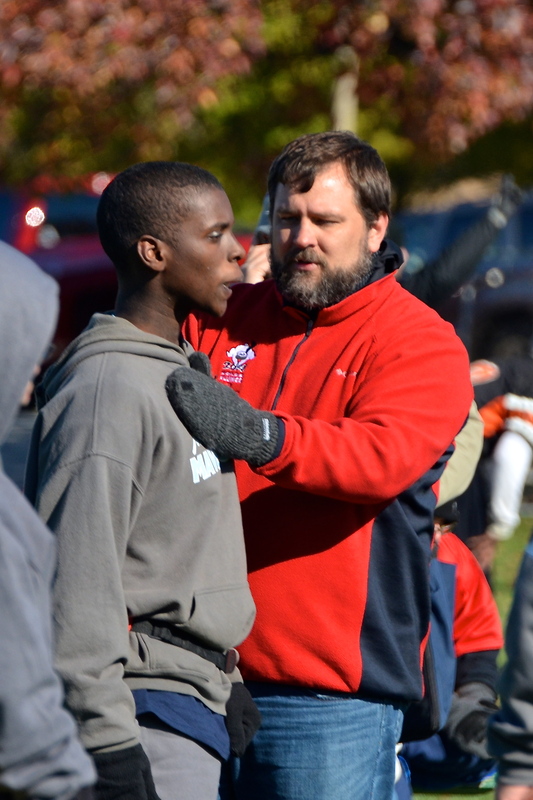 The Special Olympics flag football movement in Illinois has been led by Southern Regional Manager of Sports Training Justin Dunning and Southern/Area 15 Director Paul Melzer. Currently, Special Olympics flag football is offered in 27 states. “Seventy teams from across the state have expressed interest in playing flag football,” said Dunning. Each of the state’s 18 Areas has at least one team interested in flag football, he added. Overall, the day was a great success. Coaches and players were very receptive to the training and caught on extremely fast. By the time the competition started, teams were playing properly and enjoying the game the way it’s meant to be played. The inaugural Special Olympics Flag Football Development Training Tournament saw four teams take home first place trophies in their respective divisions – the all-female Southern Illinois Lightning Bugs of Marion, the Mt. Vernon Mavericks, Belleville PTOEC Justice 2 and the Choate Panthers of Anna. Both Dunning and Melzer thanked the City of Trenton, which was instrumental in putting on this first-class competition for the athletes. In addition, thanks to the Special Olympics Illinois and Indiana staff and volunteers who donated their time to make this inaugural event a success. If an agency is interested in finding out more about flag football, please contact Justin Dunning at 618-654-6680.